Imagine a whole building used only to house students of a similar age group, with no parents around to lay down curfews or house rules. Imagine, too, that their parents are just around the corner. It would seem that student dorms are the best of both worlds. 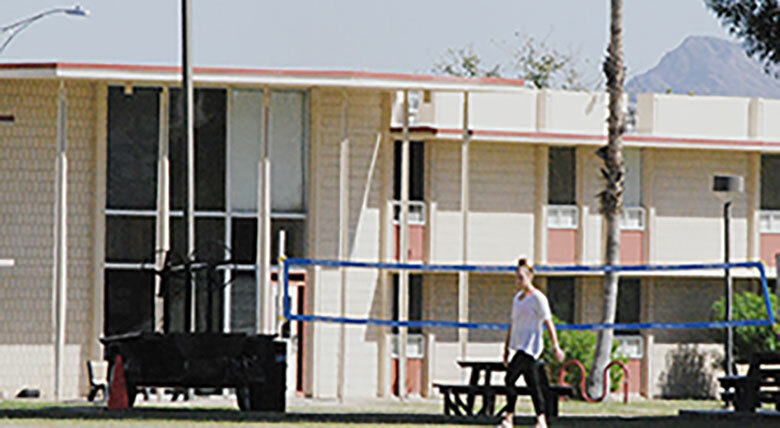 At Arizona Western College, many students come from out of state on scholarship, living on campus in the dorms. However, some Yuma County students also choose to live in the dorms. Is there really a difference between living in the dorms and living with parents? “If I had a choice between living in the dorms and living at home, I would choose the dorms,” said Marissa Garcia, a Yuma resident and current dorm dweller. Garcia says living in the dorms offers her benefits from the college, such as free membership for the gym and a meal card that has $120 transferred in every Thursday. Garcia enjoys the sense of independence of dorm living as compared to living at home, but there are a few drawbacks. Many AWC students who live in town are curious about dorm life. Ramirez explains that he could feel more like an adult if he were living on his own, and it could strengthen his relationship with his parents. Of course, most students who live in Yuma and go to AWC prefer to live at home, having everything they need in the comfort of their own home. Sauceda works part time and likes how his job is close to his house. Everyone has their own opinions on dorm life – positive, negative or maybe mixed. One thing is for certain, though: there’s always a home away from home waiting at AWC.